For real estate listings in the beautiful city of Charleston, aerial photography can be that special factor which takes them beyond what potential buyers are used to seeing. From coastal estates to historic single houses, we provide a bird’s-eye view of a luxury home on the coast or a historic building in one of Charleston’s recognizable districts. This perspective has never been so easy to obtain, thanks to the experienced, local Charleston drone photography expertise offered by Ellis Creek Photography. We are insured and licensed by the FAA for drone aviation. In the past, aerial video and photography required chartering a helicopter or plane. Today, however, drone technology allows our expert photographers to quickly place a camera in the sky, achieve the perfect angle, and capture breathtaking views of your property at an affordable cost. At Ellis Creek Photography, we are expert photographers first and drone pilots second, resulting in photos just as beautiful and carefully framed as the ones we take on the ground. In a competitive real estate market, professionally edited photographs, video, and aerial shots dramatically set a listing apart from the rest. Our Charleston drone photography is a fresh, valuable asset to industrial, commercial, and residential real estate listings alike. We love working in the Charleston, SC area, discovering its hidden beauties, highlighting them in stunning, magazine-quality photos, and helping our clients present the stories of their homes and commercial properties. We look forward to visiting your location, finding out what makes it special, presenting it as beautifully as possible through our expert photography services. To really bring out a real estate listing for a property in or near Charleston, aerial video could be the key. A video can provide a comprehensive view of a large industrial facility or an estate on hundreds of acres in a way that still photography can’t. 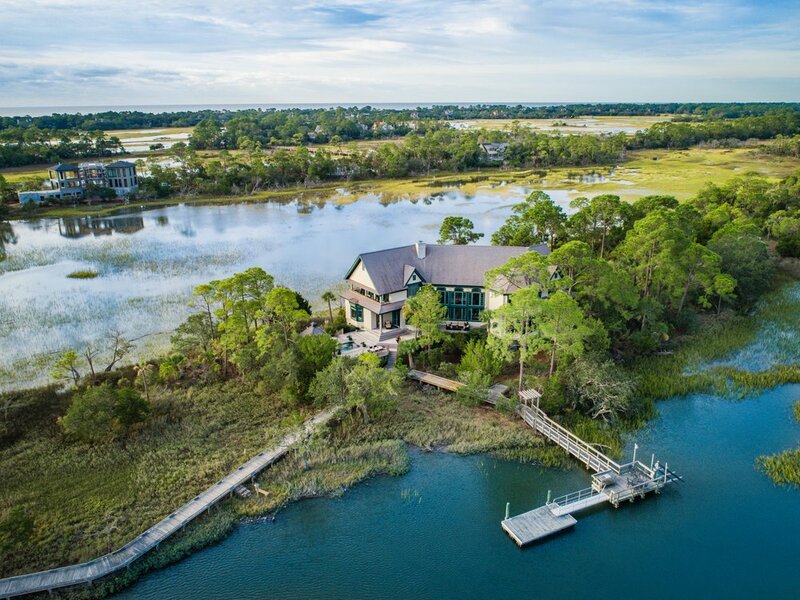 With the affordabilityand speed that Ellis Creek offers with our Charleston aerial video services, it’s very easy to add this eye-catching, powerful feature to your listings. On our Hire Us page, you can get in touch with us to request an appointment and a quote for your project. From luxury homes to large industrial facilities, we tailor our Charleston aerial photography services to perfectly match the needs and character of every property we shoot. We hope to talk with you soon.